Changes in air quality can have wide-ranging effects for people, especially for children and sensitive groups, but also for everyone when air quality drops considerably. 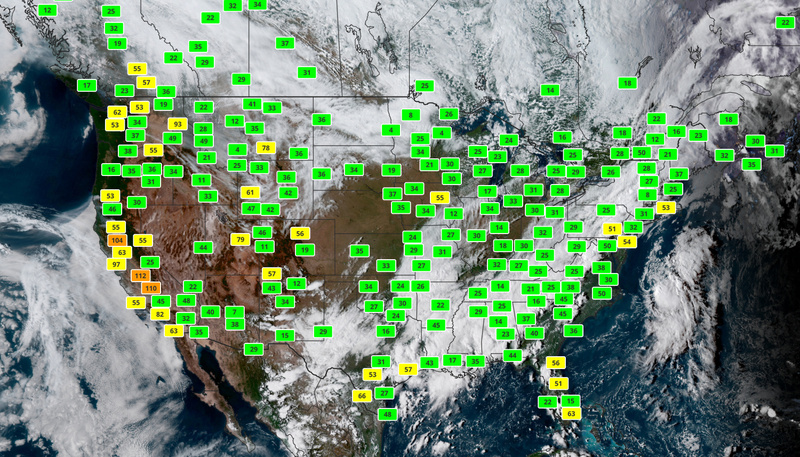 In May, we announced the addition of the Air Quality endpoints to the Aeris Weather API. Today, as we continue to expand our Air Quality API and datasets, we are announcing a new air quality map layer within the Aeris Mapping Platform (AMP). 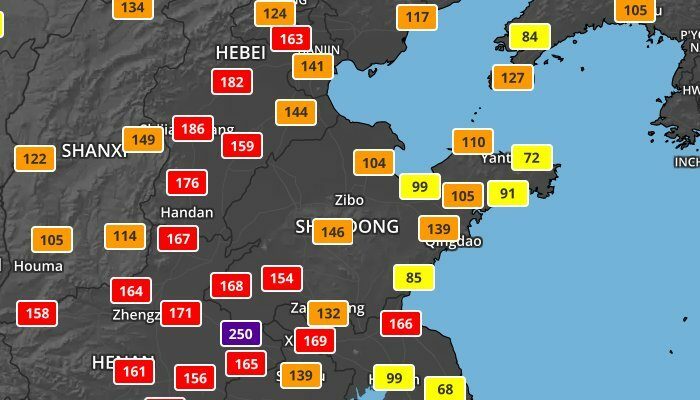 The layer displays Air Quality Index (AQI) badges for locations globally and allows users to quickly visualize areas of concern. Additionally, large wildfires can negatively affect local and regional air quality. 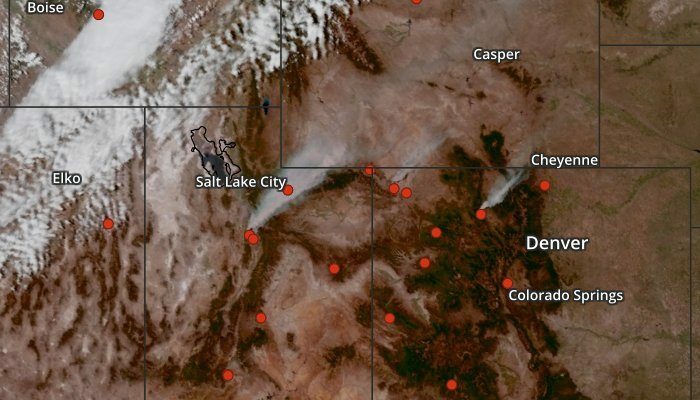 Therefore, we are also releasing a new wildfires map layer alongside air quality. Both layers are available today for use by all Aeris Maps Premium subscriptions. The new air quality map layer displays badges of the Air Quality Index (AQI) as observed by global observation stations and uses the same air quality observations from the Aeris Weather API endpoint. Air quality (AQI) values based on the dominant pollutant reported by each observation station. 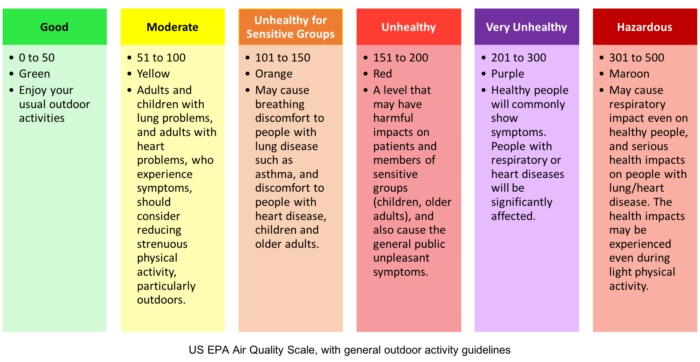 These AQI values utilize the scale from the US Environmental Protection Agency’s (EPA) AirNow organization. Large wildfires can play a significant role in both local and regional air quality. Therefore, today we are also launching two new wildfire layers alongside air quality layers. These new fire layers use data from the fires endpoint of the Aeris Weather API and the US Forest Service (USFS). Initial data coverage includes the Continental US, while expansion into other regions, including Alaska, Hawaii, and Canada, continues to be reviewed in the near term. The new fires layer is available in two options, as basic circles and as fire icons. In this example, we placed the fires on top of the geocolor satellite layer, which is also good at depicting the smoke plumes from larger fires. The US Forest Service updates the wildfire data daily, usually by mid-morning Eastern time. The new air quality and fire layers are already available today for all Aeris Maps Premium subscribers, or you can try them out today with our free developer trial.